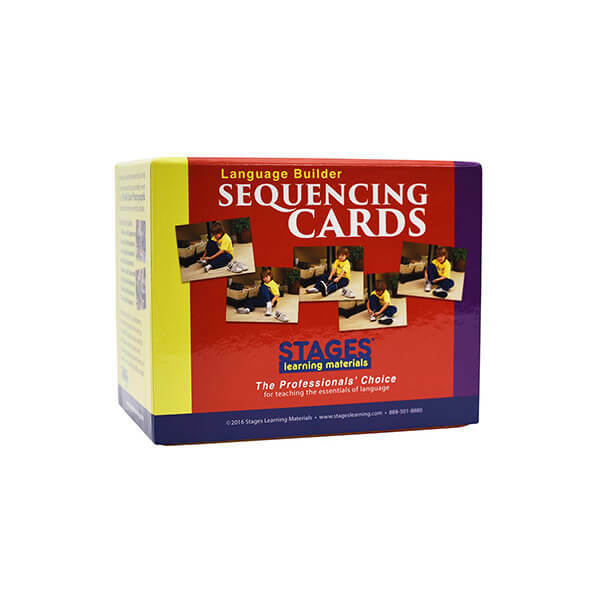 New addition to the popular Language Builder Series – Language Builder Sequencing Cards! Introduce students to sequencing, and help them understand the logical order of events. The 116 Full-Color photographic cards portray common, everyday activities with a heavy emphasis on self-help skills.